CHICAGO, Feb. 9 (Xinhua) -- Toyota sought to grow too quickly at an unsustainable speed, which as a result forced it to compromise its commitment to quality and led to the global auto giant's recent massive global recall of more than 8 million vehicles, an international auto expert has said in an exclusive interview with Xinhua. "The mandate to capture 15 percent of the global market share by 2015 became the priority and forced them to compromise quality. Toyota took on too much risk in the development of their products which allowed quality issues to surface," Bill Russo, founder and president of Synergistics Limited and senior advisor with Booz & Company, told Xinhua on Monday. Russo has over 25 years of extensive experience at driving strategy and performance improvement in Fortune 500 environments, especially in the automotive and electronics industries. Toyota has so far recalled more than 8 million vehicles around the world with faulty accelerator pedals. To specify the sales damage, Russo said: "In January, it lost 16 percent of its sales in the United States, and it stands to lose about 300,000 vehicle sales in the U.S. in 2010. Worldwide impact of over a half-million units of lost sales in 2010 is possible as a result of this crisis. " "This crisis represents a monumental challenge for Toyota," Russo noted. "This recall impacts 8 of Toyota's most popular models which contribute more than half of their U.S. sales. Of course, Toyota has already suffered a dramatic decline in revenue and lost production, in addition to the cost of the recall itself, estimated to be around 2 billion U.S. dollars." There are many lessons here for the Chinese as well as other global automakers. Russo found the most fascinating is how quickly the auto giants can fall -- and how they often do it to themselves. Once the benchmark of the global auto industry, many of Toyota's " best practices" must now be re-evaluated by other global automakers, said Russo. "The current crisis illustrates how complicated it can be to diagnose the cause of failure of electro-mechanical systems. It is also interesting how a problem surfacing in one market has an impact on sales in every other market. These are all challenges that carmakers will face in a globalized auto industry," he added. However, he pointed out that the more significant challenge for Toyota will be to repair the reputation for quality that they have worked for decades to establish. "It is said that trust is earned over a lifetime, but can be lost in just one event. In this case, Toyota has been hit with a series of increasingly damaging quality problems, and will struggle to restore the image and confidence of consumers around the world." Russo perceives crises as defining moments in a company, because it is in times of crisis that senior leadership has the opportunity to demonstrate the values that a company is willing to hold true. "Toyota can use this crisis to demonstrate its commitment to customers and its famous ability to identify and eliminate the root cause of the problem," he said. He predicts that if done correctly, Toyota can emerge from the crisis without a permanent loss of consumer trust. "While there are signs that Toyota was initially slow in waking up to the extent of the problem, they have taken steps to contain the impact and it remains to be seen if they will ultimately restore the trust that has become the hallmark of their brand," he said. On the other hand, Russo believes that Toyota's recall presents an opportunity to other automakers who will now gain the consideration of Toyota's once fiercely loyal consumers. He further explained: "The very tangible impact on Toyota's customers will be a potential decline in the resale value of their cars, which has a direct impact on the amount of their monthly lease payment. This makes other brands more competitive when consumers compare the cost of ownership, which has always been a core strength for Toyota products." Regarding the potential benefits for U.S. automakers, Russo believes that the beneficiaries are most likely other foreign brands, including Honda, Hyundai, Nissan and even Volkswagen. "Although American car companies may experience some near-term gains, it remains to be seen whether they will experience any permanent advantage from this situation," he said. 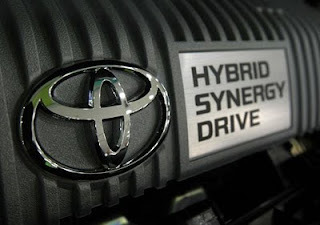 "Of course, they will seize this opportunity to create incentives for Toyota owners to switch to their products. However, American consumers who have switched to foreign brands rarely return to American brands." Asked about the role of the U.S. government in this case, Russo said: "The U.S. Department of Transportation must act in the interest of the consumer, and have been placing a great deal of pressure on Toyota to address the quality problems. They are also in direct discussions with Toyota's senior leadership to determine the full extent and cause of the problem." In addition, he said that the U.S. National Highway Safety Administration is looking into whether the company's electrical systems may have contributed to the problem of uncontrolled acceleration. Some estimate that the actual number of Toyota vehicles subject to recall could be even higher than the carmaker's global sales of 7 million units in 2009. Toyota is likely to face a worldwide crisis of trust. So how bad will the situation be for Toyota? Will global consumers change their opinion of "made in Japan" products? Our reporter Chen Xin talked to William M. Russo, president of the Beijing-based auto consultancy Synergistics, to get his view on this.